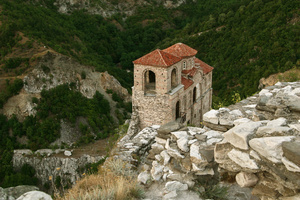 Best selling Bulgaria small group tour explores historic and cultural traditions and includes visits to several UNESCO World Heritage sites. 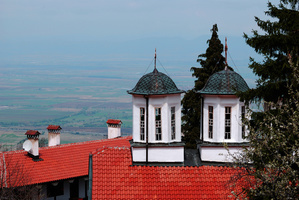 Bulgaria is an eclectic blend of Ottoman, Orthodox, and Soviet history with a distinct European identity. 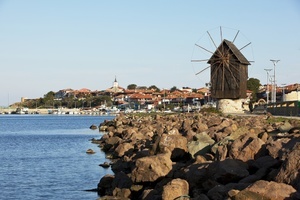 You'll marvel at Roman outposts, mystical medieval monasteries, and a dazzling collection of prehistoric gold. 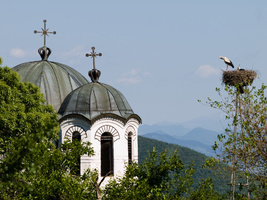 All along the way, your Bulgarian Rick Steves guide will connect you with people who make their country's history, art, culture — and hospitality — come to life. You'll be warmly welcomed in neighborhood cafés, rustic mountain villages, and humble monasteries. 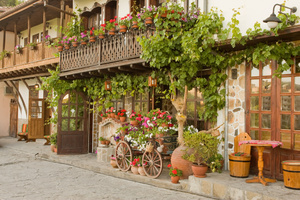 Join us for the Best of Bulgaria in 12 Days! Arrival in Sofia - the capital of Bulgaria. 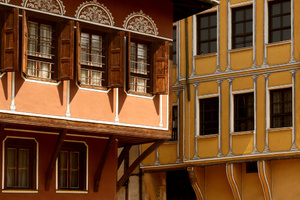 Accommodation and overnight in Sofia. Departure to the Rila Monastery/10th c/, UNESCO World Heritage site, the largest and the most impressive Bulgarian monastery. Tour of the monastery complex, church and museum with its lavish collection of precious old manuscripts, icons, jewelery, masterpieces of woodcarving, ethnographic exhibition of fabrics and carpets. After drive back to Sofia. Sightseeing tour of Sofia – a city with 7000 years long history, concentrating numerous cultural and historic monuments from different periods. 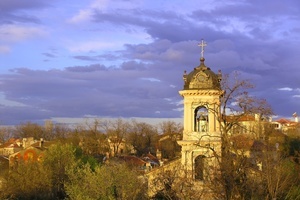 Visits of the Alexander Nevsky Cathedral, the St. George Rotunda from the 4th century, the St.Sofia Basilica, the Ruins of Serdica. Overnight in Sofia. Departure to Veliko Tarnovo via Kasanlak. Sighseeing in Kasanlak. Visit the recently discovered Thracian golden treasures in Kazanlak Historical Museum. Continue with one of the UNESCO’s sites – the Thracian Tomb dating back from the 4th century B.C. Departure to Veliko Tarnovo via the historical Shipka Pass. Overnight in Veliko Tarnovo. Sightseeing of Veliko Turnovo, including Tsarevets hill - an impressive sight with medieval fortifications and dramatic architecture. Departure to the museum town of Arbanassi boasting a genuine gallery of art in its Church of Nativity. Driving back to Sofia. Overnight in Sofia.